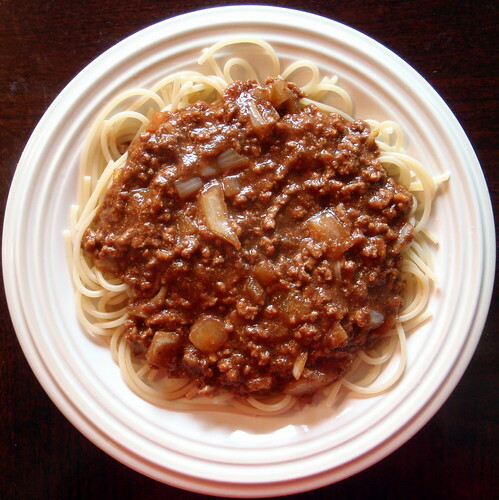 I've been wanting to make Cincinnati chili for quite a while but never found the opportunity. It's definitely one of those dishes you want to make for a large group, and what's more perfect after a day of skiing than some chili? 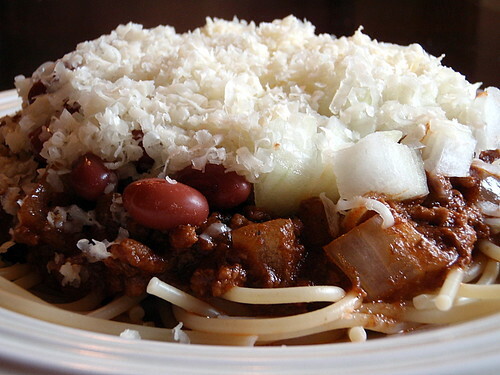 Cincinnati chili differs from what most people would consider traditional chili in that it's a bit more mild and watery and served on a bed of spaghetti and topped with mounds and mounds of fluffy, shredded cheddar cheese. In fact, it's probably more akin to spaghetti sauce than chili. The beef is boiled instead of browned to achieve a fine texture, and the secret ingredient is a bit of chocolate. Yes, chocolate. Combine ground beef and water in a large stew pot. Cook until beef is done, crumbling as it cooks. You want very fine particles of beef. Stir in everything but the last 4 ingredients. Cover and cook, at a simmer for about one hour. Remove cover and, if necessary, cook down to a good thick consistency. Remove and discard bay leaves. 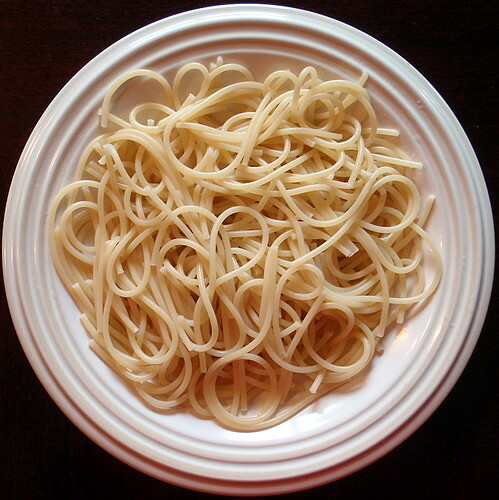 To serve, mound a bed of spaghetti on your plate. 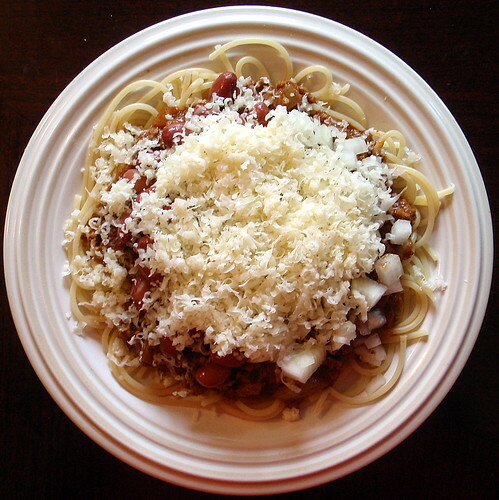 To make 3-way Cincinnati chili, you'd add just the cheese at this point. 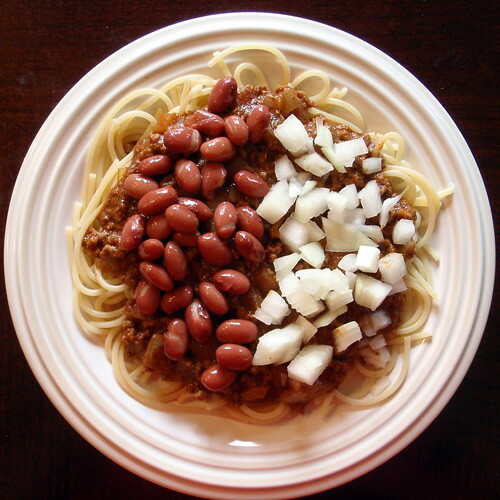 For 4-way, you'd add either the onions or beans, and for 5-way, add both onions and beans. 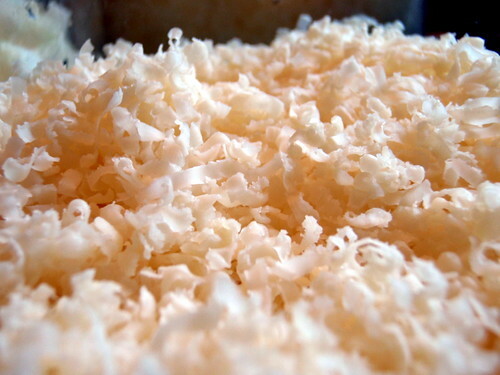 Top with a mound of freshly shredded cheddar cheese. The key to the dish is the shredded cheese. 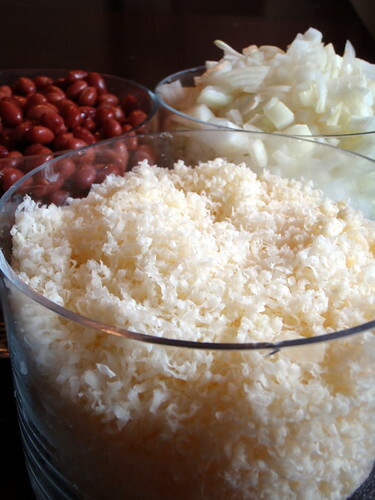 You want to grate it as fine as possible so that it will be incredibly fluffy and melt just from the residual heat from the spaghetti and chili, even though a layer of onions and beans. To do this, I used my new Microplane grater. Just look at that cheese; it's like sawdust! (But in a good, appetizing way). I've never had Cincinnati chili but have always wanted to try it. This looks delicious!